Carl Beebe was stationed on the USS Saint Paul (SP-1643) at the time it capsized on the 28th of April 1918. Following this, he found himself placed on an oil tanker on his way to the Mediterranean. He wrote him in a letter to his mother, Rebecca (Fritz) Beebe, about his visits to Genoa, Italy and seeing the Rock of Gibraltar. Today I worked on the chapter for Carl Beebe (shown right) in my Fritz family history book. 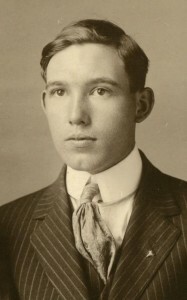 Carl Beebe was the son of Rebecca Fritz. 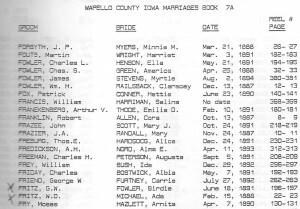 At one point, I had written down Carl’s wife’s name as Eva M. Beebe. Today I learned that this was the wife of a Carroll A. Beebe. So, did Carl even marry? I lost track of him after the 1915 census, except that he was in the US Navy from 1917 through 1919. Where do I put the obituaries? 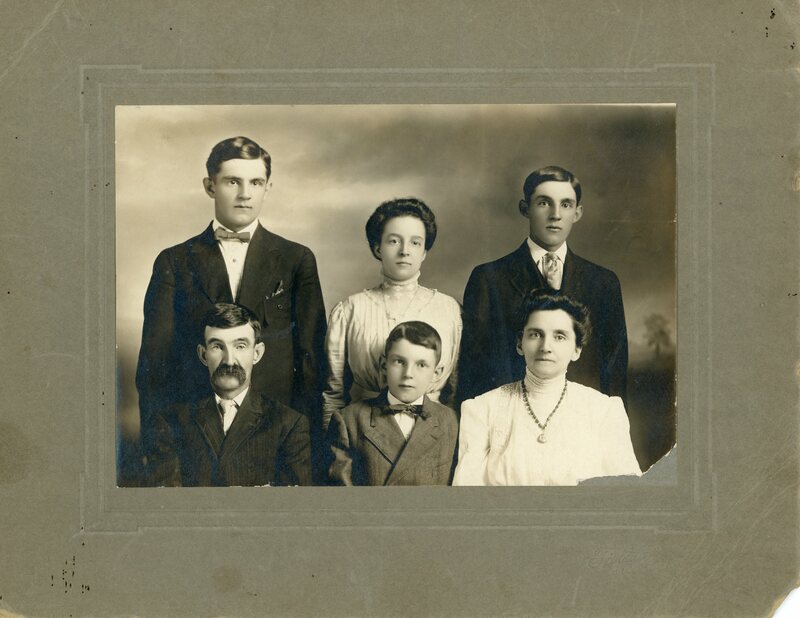 Writing a family history book chronicling three generations, it might not be expected that one of the most difficult aspects is deciding the organization of information. 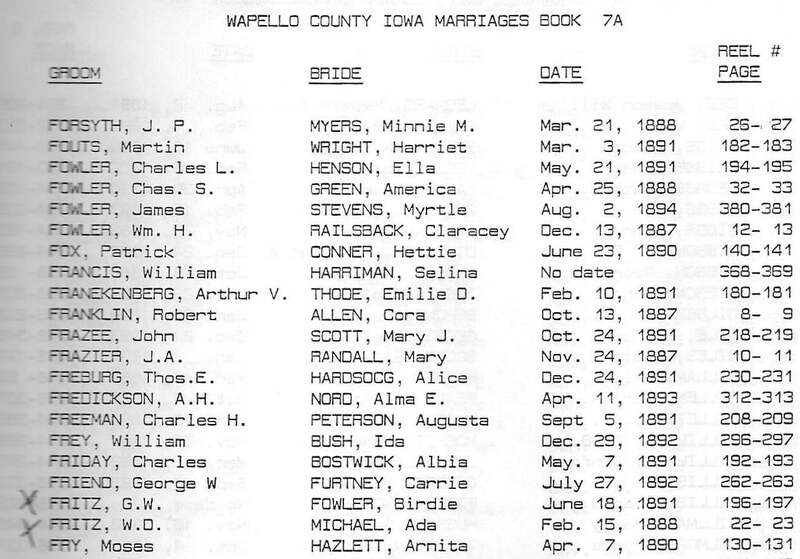 William Shea and Gertrude Cornelius Fritz married. They had two daughters: Allie M. and Edna H. Shea. I hadn’t expected to ever know their middle names, but thanks to William’s livestock, I was able to learn what that M. stands for. I already knew when George Fritz and Birdie Fowler married, but found it interesting to see another Fritz on there. 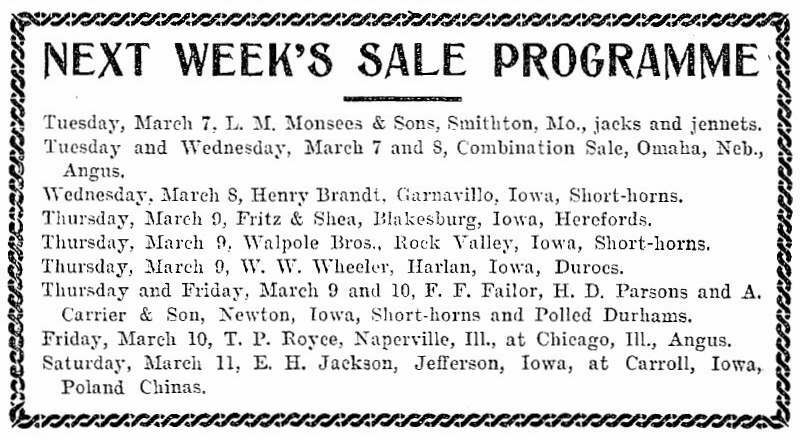 I’ve already accounted for all the Fritzes in my line from around there (assuming George’s uncle Johann Josef didn’t marry and have children before he was murdered). So, this W.D. Fritz is an unrelated Fritz, right? I have reason to wonder. This photograph is a mystery. It was (to my understanding) in the possession of Gertrude Alice /Fritz/ Brinton, who passed away in 1993. The FamilySearch.org California, County Marriages, 1850-1952 has been updated recently, and now it finally includes the marriage of my maternal grandparents.